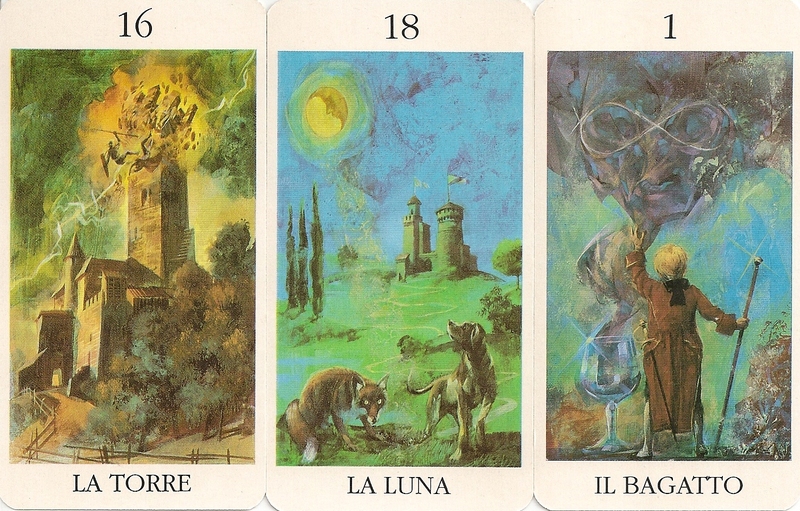 There are three editions of the "Tarocchi Romantici": a small edition with English titles, a larger edition with Italian titles and Roman numbering on the cards, and this small edition with Italian titles and Arabic numbers. 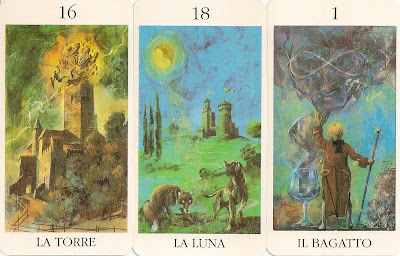 The English edition includes a card with a verse, the large Italian edition came with a LWB and has the verse on the box, my small edition has no verse and two explanation cards instead of the LWB. 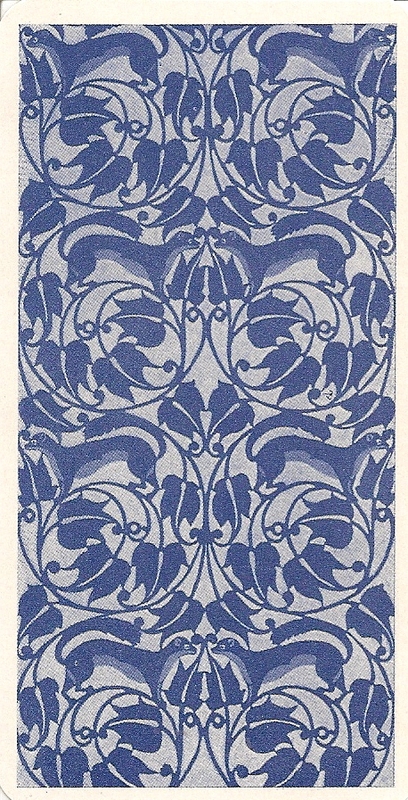 The back design is the same on all three editions. The watercolor paintings are similar to Trevisan's Tarots of the Renaissance.